We take a long-term view in our business, and in our commitment to sustainability. 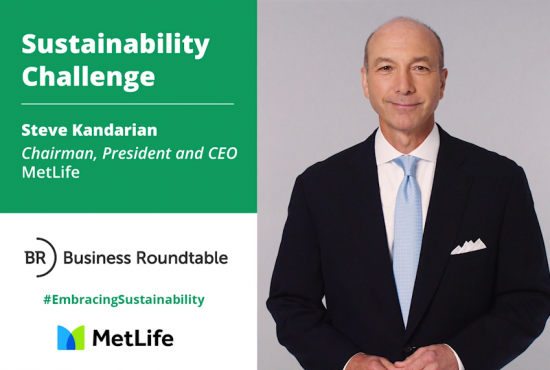 Chairman, President and CEO, MetLife, Inc.
MetLife is committed to reducing its own environmental impact and helping to avoid the worst potential effects of climate change. 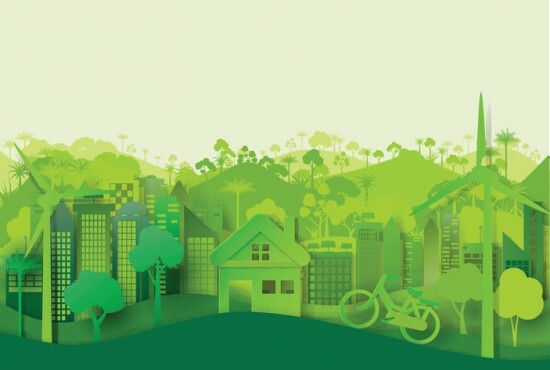 We are a founding member of the Climate Leadership Council, a coalition of industry, non-profit and policy leaders to promote a carbon dividends framework as a climate solution. Engaging our suppliers to reduce their own impacts. We were the first U.S. based insurer to become carbon neutral in 2016 and have maintained this status going forward. We continue to receive high marks from CDP (A- in 2017), earning the Leadership category designation for several years in a row for our management and disclosure of environmental issues. For MetLife, making the world a better place is the fundamental purpose of our business. On the liability side of our balance sheet, we paid approximately $45 billion to policyholders in 2017. On the asset side of our balance sheet, we fuel economic growth and jobs by investing MetLife’s $587.3 billion of combined managed assets in agriculture, infrastructure, real estate and a wide variety of businesses. The very nature of our business creates tremendous social value. Through our impact investments, we bring social and environmental benefits to underserved communities while generating economic returns. These investments encompass funding for community and affordable housing, renewable energy projects, infrastructure and municipal bonds. Impact investments totaled $50 billion as of December 31, 2017. Throughout the world, lack of electricity disproportionately affects women and children and has a negative impact on health, children’s education and the environment. In parts of Asia and Sub-Saharan Africa, as much as 85 percent of the population lacks access to electricity. MetLife partners with organizations that share our commitment to help individuals live more secure lives. In 2017, MetLife invested $7 million to the SIMA Off-Grid Solar & Financial Access Debt Fund, a financing mechanism that expands access to off-grid solar power around the world. The SIMA fund provides debt financing to innovative companies that offer solar and financial products to low-income individuals. MetLife’s participation as a lead investor accelerated SIMA’s ability to raise capital for the fund, further multiplying its impact. Projects supported by the fund provide in-home solar-powered lights that reduce home air pollution and fire hazards, help children study longer and make homes safer at night. On average, the projects have increased household savings by 10 to 15 percent, creating $27 billion in new purchasing power. Read more about SIMA at simafunds.com. 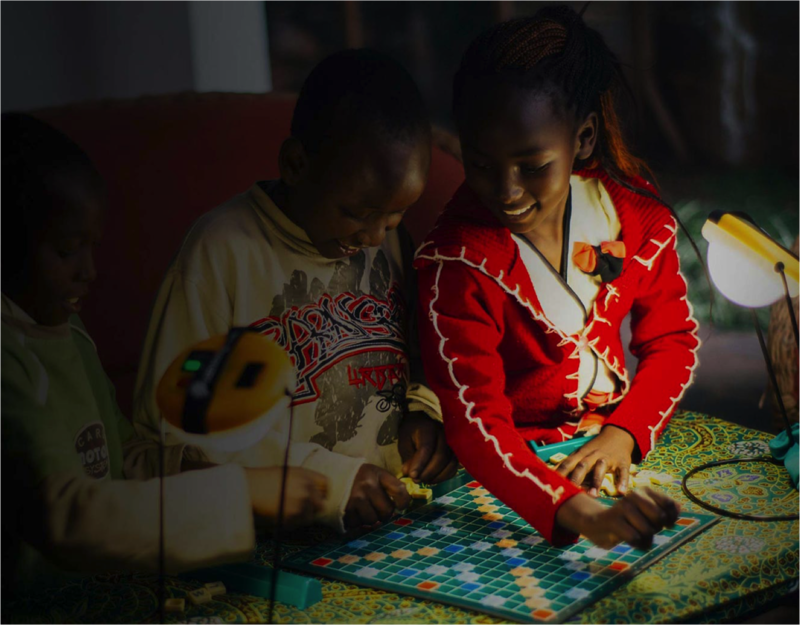 Children play a game while using solar-powered light provided by Greenlight Planet, a SIMA Fund project supported by MetLife's investment.